These presentation slides 24551 are complete compatible with Google Slides. Simple download PPTX and open the template in Google Slides. 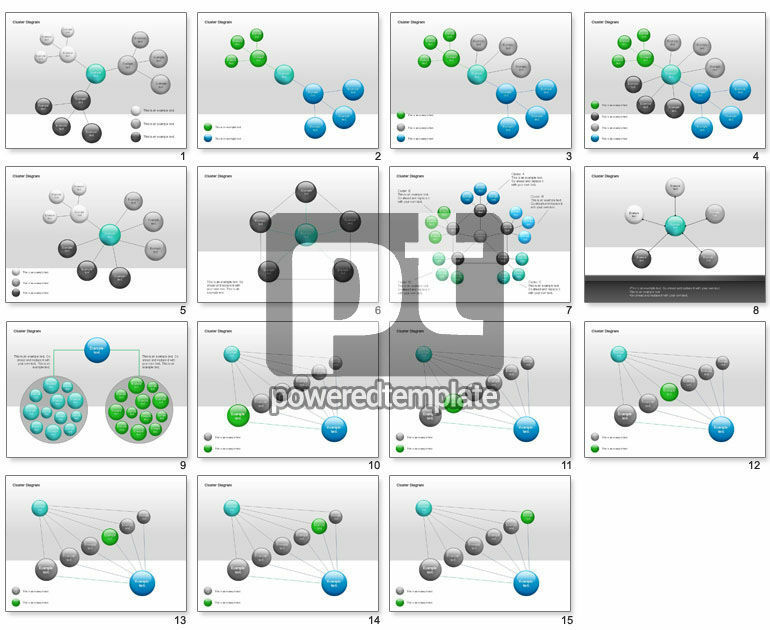 Great cluster diagrams for those who prefer round forms and tree-like structures. Would fit great in business analysis, priorities analysis, and all kinds of other business management presentations.